One of our editors set out to create an ambitious list of data sources on the opioid epidemic. Much of what he found was out of date, and some data contradicted other data. As the opioid epidemic rages across the country, data tracking its evolution often lags far behind. A few months ago, I set out to compile data on opioid prescribing, overdoses and deaths, as well as treatment options. It was more difficult than I expected: Much of the data was out of date, some was hard to find and some data contradicted other data, making conclusions difficult. I put the datasets I could find into a tipsheet, which I shared last week at the National Institute for Computer-Assisted Reporting conference in Chicago. When Bruce Greenstein took over as chief technology officer of the U.S. Department of Health and Human Services in mid-2017, he, too, was taken aback by the hurdles to finding complete, current information — particularly on overdose deaths. Reporting accurately on the opioid epidemic requires having current, reliable data to track how it’s evolving and the toll it’s taking. This tipsheet will help provide data sources. Since then, Greenstein and his staff have worked with federal agencies to publish data earlier, even if it’s preliminary. The Centers for Disease Control and Prevention now releases provisional data on drug overdose deaths, by state, which is only a few months old. Greenstein’s office has also encouraged government agencies to share more information with each other and with the public, and it has held a code-a-thon to identify ways in which data can be used to help solve the epidemic. Deaths are only one way to measure the opioid epidemic, however. As most people know by now, opioids come in both legal forms (prescription painkillers) and illegal ones (heroin and street fentanyl). 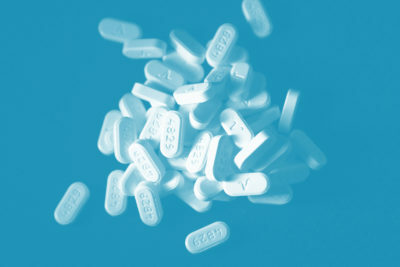 One major focus of health officials and prosecutors has been to reduce the overprescribing of opioids for chronic pain. Also, the U.S. Department of Veterans Affairs earlier this year released opioid prescribing data for each of its hospitals, comparing rates in 2012 to those in 2017. At a higher level, the CDC releases data on prescribing rates by county and state. But it measures the rate in a different way than Medicare, looking at the number of opioid prescriptions per 100 residents. Because the measures are different, they can sometimes appear contradictory. In Medicare, for example, Piatt County, Illinois, which is near Champaign, has among the highest opioid prescribing rates in the state. About 9 percent of all Medicare prescriptions filled in 2015 were for opioids, compared to 4.7 percent for the state as a whole. But CDC data for the same year showed Piatt County below the state average — 40.9 prescriptions per 100 residents compared to 59.1 prescriptions per 100 residents for all of Illinois. The CDC data is based on more than prescriptions in Medicare. It comes from QuintilesIMS, a health information company that gathers data from 59,000 retail pharmacies, which dispense nearly 88 percent of retail prescriptions in the country, the CDC website says. Another way to track the epidemic’s toll is to examine overdoses and hospitalizations that result from opioid use. CDC has updated its overdose data to be closer to real time, even though some deaths are still under investigation. You can find provisional counts of drug overdose deaths, as well as deaths by drug or drug class. But even that data is problematic. It relies on coroners or medical examiners to accurately report deaths as overdoses. A new study by Christopher Ruhm, a professor of public policy and economics at the University of Virginia, found that these deaths are vastly undercounted. For instance, the CDC estimated that 33,091 drug deaths involved opioids in 2015; Ruhm estimates that the actual number is more like 39,999. The CDC published data last week that found that emergency room visits for suspected opioid overdoses increased by about 30 percent in the United States from July 2016 to September 2017. The CDC broke out data for each region and for 16 states with a high number of opioid-related deaths. Hospitalization data for all states can be found on the website of the Agency for Healthcare Research and Quality, but that data is only current through the end of 2015. For the moment, there’s even less data on drug treatment, especially broken out at a local level. The best comes from the Substance Abuse and Mental Health Services Administration. Its National Survey of Substance Abuse Treatment Services tries to identify all known substance abuse treatment facilities in the U.S., both public and private. Last year, the Urban Institute, using Medicaid data, produced a report on the rapid increase in Medicaid spending on medications to treat opioid use disorder. It offers a state-by-state breakdown. But the Medicaid program only covers the poor and working poor, and the data is not broken out by county or locality. Depending on where you live, some of the best data comes from state and local agencies. I was really impressed with the dashboards created by states like Massachusetts and Rhode Island, which provide a look at various aspects of the epidemic. The city of Tempe, Arizona, publishes a real-time dashboard of EMS calls likely related to opioids. Cincinnati, Ohio, publishes a similar dashboard for heroin overdoses. Many states, however, lag far behind. Browse data sets about health, criminal justice, education, politics, business and more in the ProPublica Data Store. One of the biggest challenges with opioids is defining success, experts say. Beletsky said he’s interested in the percentage of people who are on maintenance treatment for addiction after a nonfatal overdose. Alexander said he would like to know about the rate of new cases of opioid use disorder or addiction, something which currently isn’t tracked. Both said changes in the opioid prescribing rate is less significant. “If you just think about prescribing, what’s the right level of prescribing?” Alexander said. “Ultimately, what really matters is the quality of care that people are getting, both with respect to the management of their pain but also the identification and treatment of opioid use disorder. See how your doctor’s prescribing compares to others in the same state and specialty using our Prescriber Checkup tool.